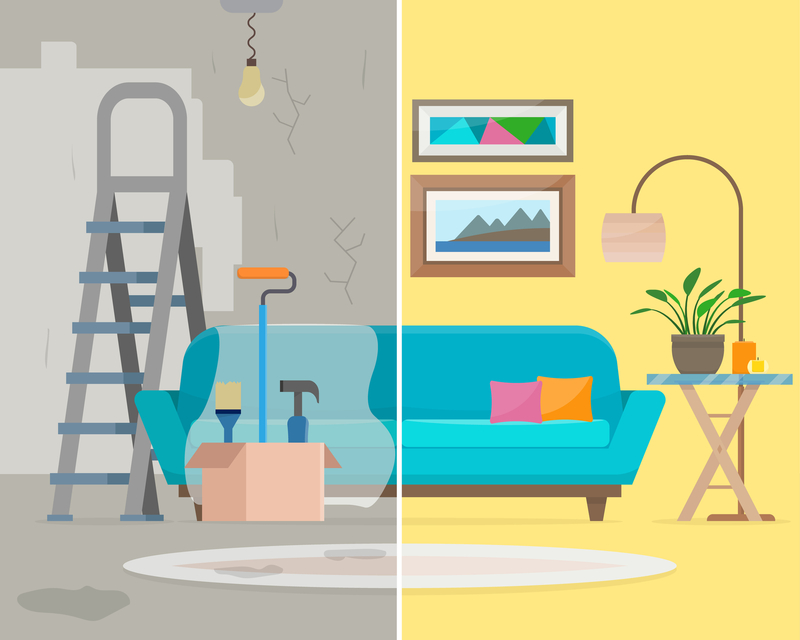 With the rise of home improvement TV shows like Property Brothers and Flip or Flop, many Americans are finding the inspiration to take on home renovation projects. The proof is in the numbers. According to a True Cost Report, homeowners have spent almost 60 percent more on renovations in 2017 than in 2016. Why should you take the plunge and give your home a makeover? Here are 3 reasons why to say yes to a renovation. The first reason is the most obvious. Renovate your home to make it comfortable, functional and enjoyable. Your home is where you will spend the majority of your time. Why not make sure it’s a place you want to be. While it will help to add value, the most important reason to renovate is to make your home your happy place and not someone else’s. You definitely don’t want to live in a house that doesn’t have a working kitchen, a leaky roof ora major safety issue that might have a negative effect on your well-being. If there’s a problem in your home that may threaten the safety of your family, it’s important to fix the issue as soon as possible before the problem gets worse. Something like electrical problems or a leaky roof can be detrimental or result in the total loss of the home. A renovation can boost your home’s value in the long-run, especially if you hope to sell it. This can either be a complete renovation, or a renovation project like upgrading certain areas of the home. For instance, turning an old-fashioned kitchen into a modern one will definitely attract buyers and increase the sales price. Popular home layouts often include an open concept, or larger bathrooms. Adding a man cave or pool makes your home more attractive to buyers. If you’re ready to take the next step or considering a home renovation, La Cross Mortgage is here to help. We know it’s sometimes difficult to even figure out where to begin. Our team is here to make sure you understand the loan process and give you the guidance you need every step of the way! Find out more about our renovation loans.